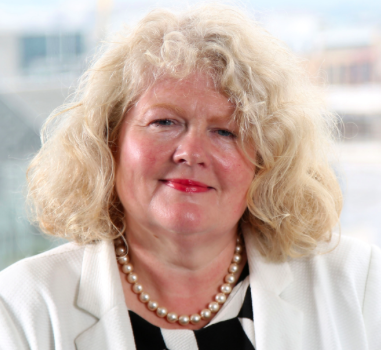 Farm Week Column For 22nd November 2018 – Michele Shirlow Chief Executive Food NI | Food NI - Our Food So Good! Food NI, as regular readers of this column will be well aware, is focused on promoting and assisting the growth of companies in food and drink production and hospitality as well as enhancing the reputation of Northern Ireland’s food and drink here and abroad. We are not directly involved in politics. Of course we work closely with local politicians on initiatives to support the long-term growth of food and drink and hospitality. And they’ve always been immensely supportive, which we greatly appreciate. Our politicians, for instance, helped to ensure the success of the Year of Food and Drink in 2016, the achievements of which led recently to the ‘Best Food Destination’ title for Food NI in the influential World Travel and Tourism Awards at the World Travel Market in London. This marvellous accolade creates a unique springboard for our industry to build upon and accelerate the growth in sales. Our approach to Brexit is shaped by our strategic focus on assisting the development of the local food and drink industry and, in particular, our commitment to the promotion of their products in their two most important markets – Great Britain and the Republic of Ireland. Food NI is keen to see access to both these markets remain free and unfettered. Our Taste the Greatness strategic action plan, widely acclaimed by the industry and other supporters, outlines our commitment to initiatives to help to increase sales in Great Britain, still the single most important marketplace for virtually all our companies. We always bear in mind that the vast majority of our food and drink member companies are smaller enterprises employing fewer than 20 people. As a result, they have limited resources and require free access to the British marketplace, which annually imports food and drink to the value of £40 billion, for the sort of growth that could eventually lead to business further afield..
Our objective is to assist our businesses to increase sales there by providing support in the shape of participation in major trade shows and also through our strong links with influential food writers and other journalists there. We now have a substantial network of influential supporters in Britain keen to help Food NI in promoting local food and drink. This important process also assists the hospitality sector through our practice of introducing food writers to leading local restaurants and their chefs. This drive, mentored by our great friend Charles Campion, has led to very positive coverage of the restaurants in influential newspapers, food magazine and other journals in Britain, thereby increasing awareness of our food and the people creating original dishes in Britain. And greater awareness also boosts demand for our food and drink in Britain and encourages people there to look seriously at Northern Ireland as an ideal destination for the very best food in creative dishes and food experiences. I am also conscious that smaller companies here see the Republic as their first export market. It’s also been a first market outside Northern Ireland for many which has subsequently encouraged them to explore opportunities in Britain. I’ve been concerned to hear from several companies that they are actively exploring support to set up plants in the Republic and thereby to ensure access to this market and the wider EU. Success in both these important markets has given a number of companies the platform to explore opportunities in international markets especially other parts of Europe. I don’t know what the outcome of the current Brexit controversy will be. No-one does. It’s an ever-changing canvas and may well have changed dramatically by the time this column appears. I fear that no deal scenario could be disastrous for the future of our industry. I just hope to see an end to the current uncertainty as soon as possible and that there will be a resolution that will ensure unhindered access for our smaller companies, in particular, to Great Britain and the Republic of Ireland, our closest EU market.